British Airways Holidays Sale. Misleading Pricing. Hello from the wonderful city of Belfast in Northern Ireland where I am enjoying Pride weekend. But more on that tomorrow. 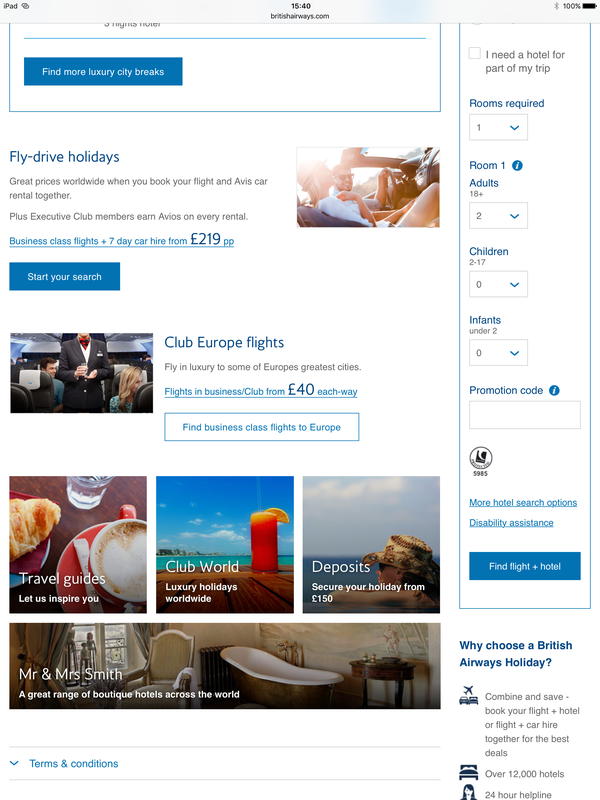 Today’s post is about some rather misleading advertising in the British Airways website that a number of people have brought to my attention. 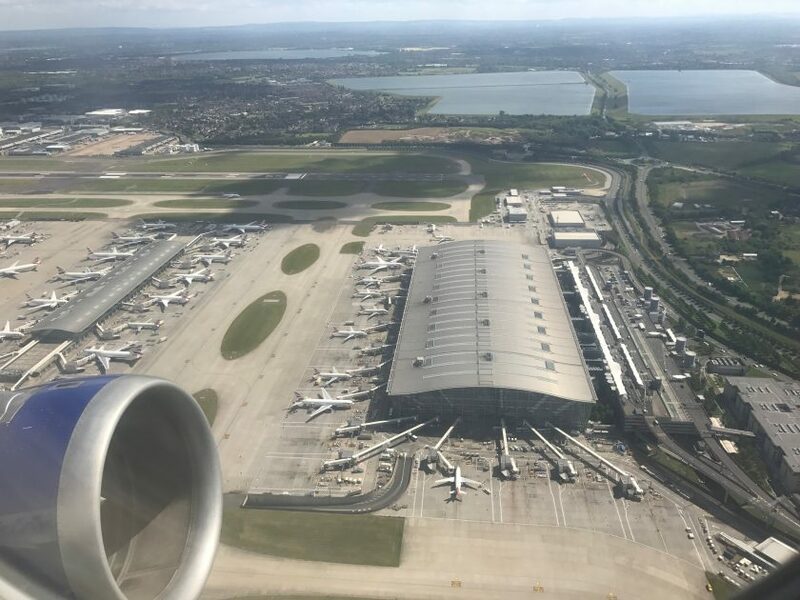 Required reading for me is Head for Points, an excellent site run by Rob; yesterday his team member Anika drew attention to the “luxury” sale the British Airways are running on Club Europe holidays until Monday. So I decided to click through and, yes, there do appear to be some great deals on the site. 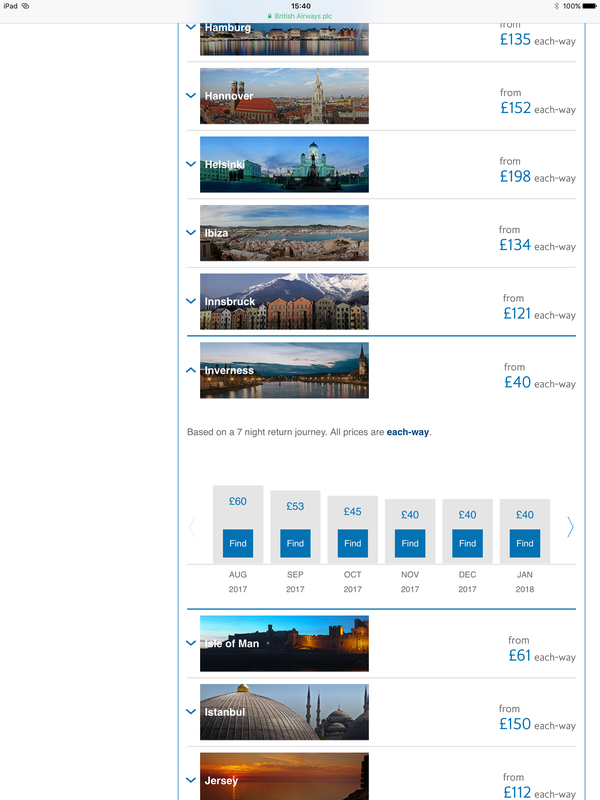 As you can see from the screenshot, they’re advertising flights in “business/club” for £40 each way. That’s an outstanding deal. So I clicked through to the next page. Inverness is listed in the low fare finder for £40 each way. Not generally where I’d chose to go, but it’s a great source of tier points for a really low price. So again, I click through from there to browse flights in November. I’m now presented with a day by day view of the lowest fares where I can see the dates where the best value lies. Clicking through again finally returns a page where I can look at the exact flights I want. 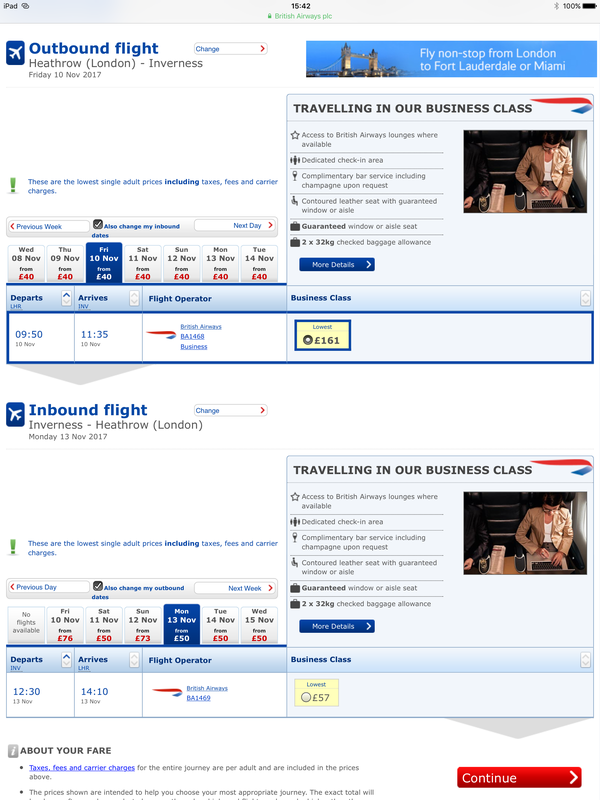 However this is when the reality dawns; no matter which day you pick, there are no Business class flights £40. The cheapest available is over £200 return. No matter what combination you click through to, and what dates you pick, it’s over double the headline advertised price. 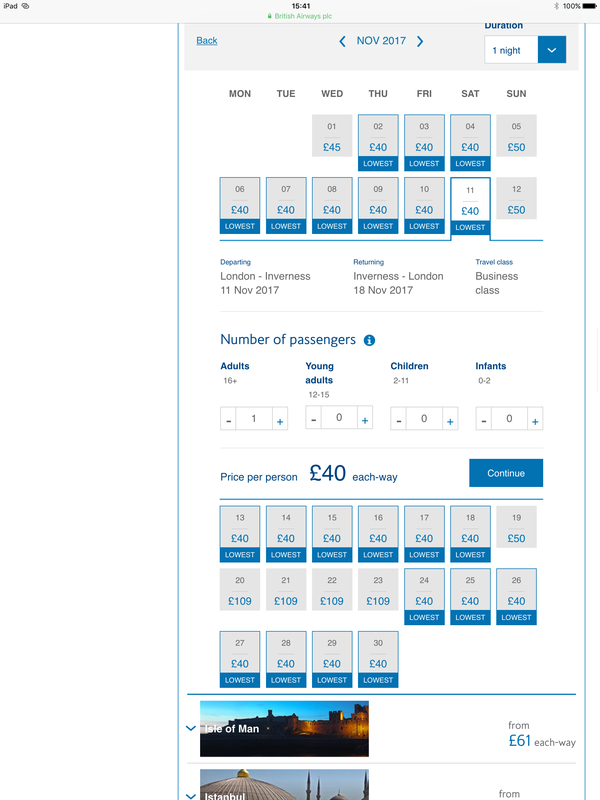 It appears that the low fare finder seems to be showing economy class flights, however the advertising shows them as being business class. This is more than pretty poor advertising; I believe it to be deceptive. I’ll be contacting the UK Advertising Standards Agency who regulate promotions like this to make a complaint as it’s clearly not possible at all to get to the this fare. If you are able to get flights to Inverness for £80, then please let me know – I’d love to hear how you did it! Please feedback on Twitter or Facebook. Previous Post: Thomas Cook LGBT Holidays. Next Post: Safety is not ‘Customer Experience’.